Yes, this post is a couple days late, but better late than never. I’ve had a great couple weeks of holiday fun, so I wasn’t posting as regularly. Alas, my holiday mini-vacation is over and it’s back to my normal schedule starting today. I had to share these fun cupcakes and cake pops. 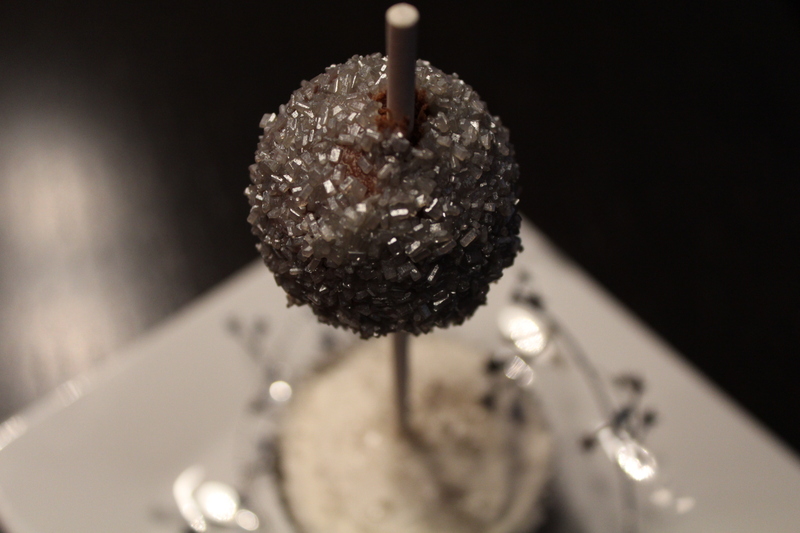 The dropping ball is a chocolate donut hole dipped in glaze and silver sprinkles. The cupcake itself is funfetti. 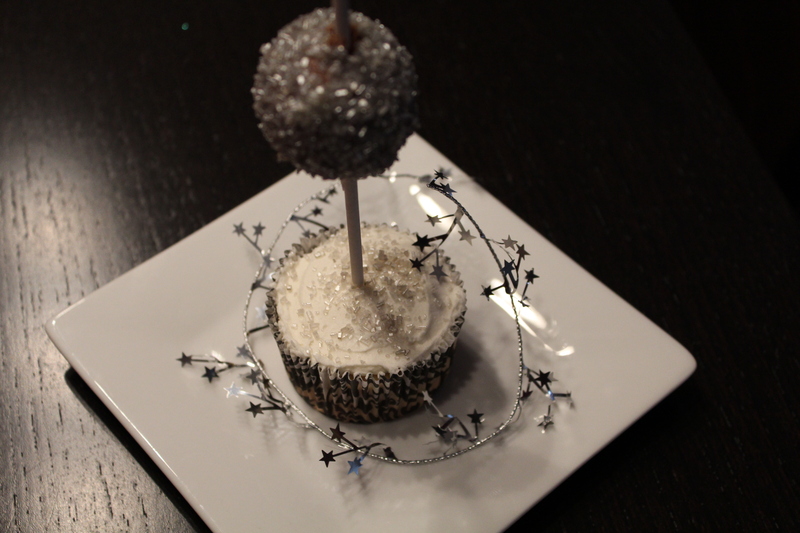 I won’t chronicle the making of this dessert, other than to say that I used a cake pop maker. My review: it’s an OK product, but buying a spherical cake mold would probably be better. 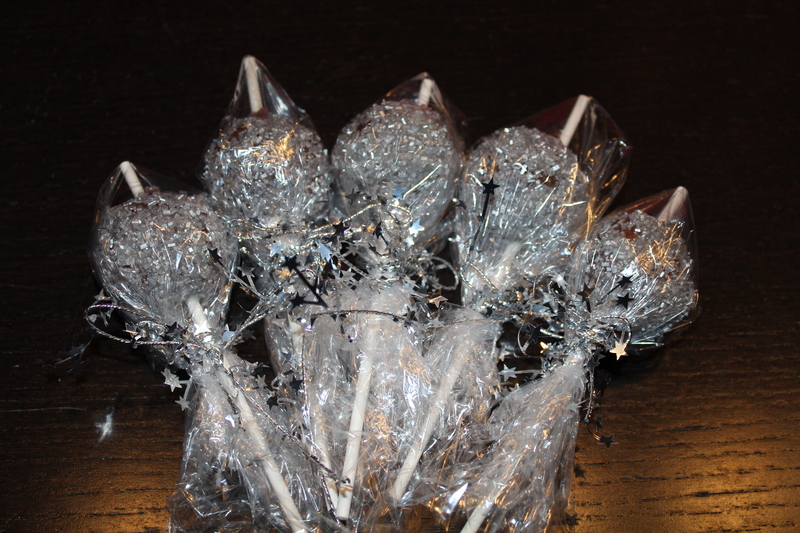 I had some extra cake pops, so I wrapped them up pretty and brought them separately. 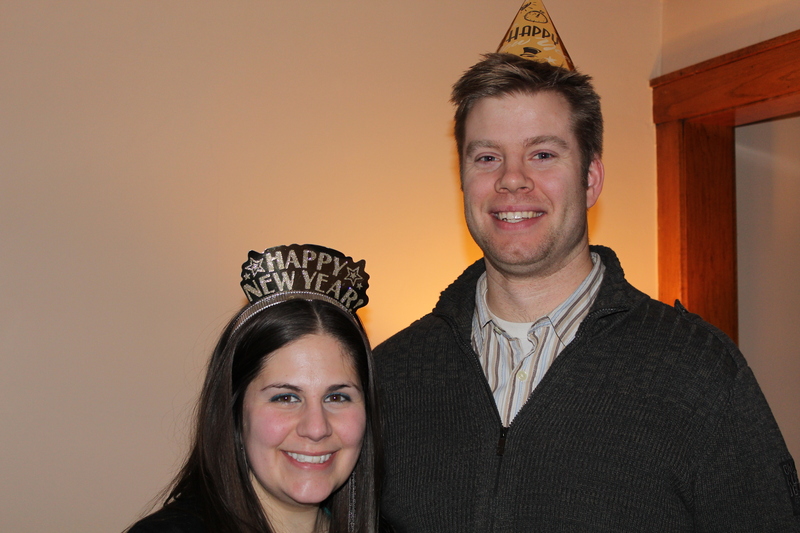 We had a great time ringing in the new year with family and friends that we are blessed to have in our lives. I wish you a healthy and happy 2013! Here’s to another great year!